ENGLEWOOD, Colo. — Vance Joseph was fired as coach of the Denver Broncos on Monday after back-to-back double-digit losing seasons. Joseph met with general manager John Elway after completing a 6-10 season and was dismissed with two years and about $6 million left on his contract. “I spoke with Vance this morning and thanked him for all of his hard work as our head coach. Although we decided to make this change, I believe Vance is a good football coach who has a bright future in this league,” Elway said in a statement ahead of his news conference scheduled for later Monday. 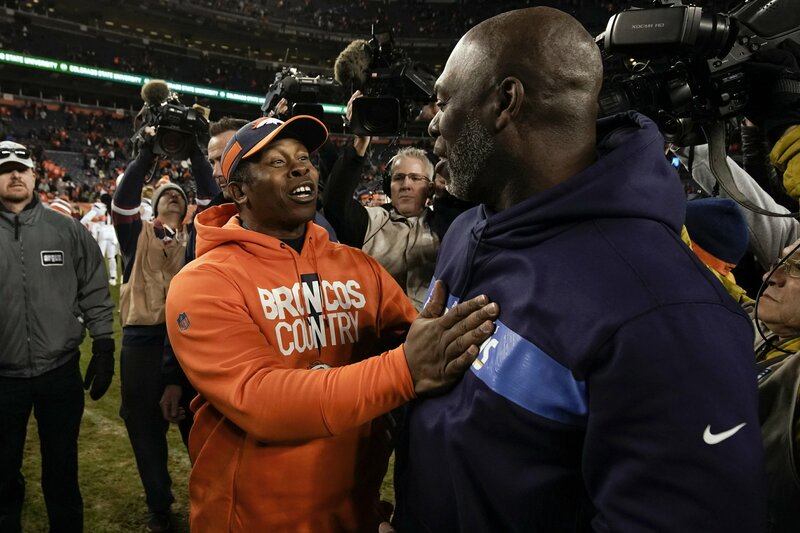 Despite that foundation, the Broncos’ job isn’t what it was just two years ago when Joseph replaced Gary Kubiak, who stepped down a year after leading Denver to the Super Bowl 50 championship. The Broncos are now mired in a three-year playoff drought. There’s a family feud as the Bowlens publicly haggle over the future of the franchise. Joseph never was fully empowered to run the football team as Elway dictated many of the assistants that were hired. And the team hasn’t had a title sponsor on its stadium for several seasons. Joseph, who’s expected to be a candidate for the Cincinnati Bengals’ job that opened Monday with the firing of longtime coach Marvin Lewis, thanked the Broncos for giving him his first NFL head coaching job. Joseph acknowledged after the Broncos’ 23-9 loss to the Los Angeles Chargers on Sunday in which there were more than 12,000 no-shows at Mile High Stadium that an 11-21 record wasn’t good enough by Broncos standards. Several players, including star Von Miller, said they wanted Joseph to return for a third season. Instead, Elway decided to embark on a search for his fourth head coach in six seasons. Team president and CEO Joe Ellis also thanked Joseph and said the team was headed in the right direction.